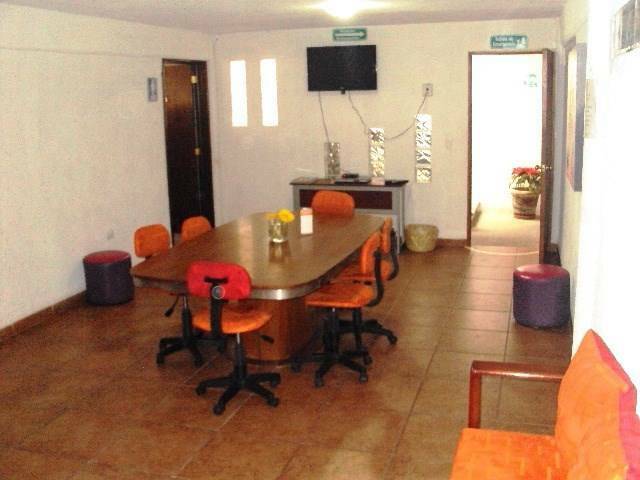 The Hostel San Pedro offers a pleasant and accessible in double or shared bedrooms, near the archaeological site of the City of San Pedro Cholula, Puebla, Mexico. 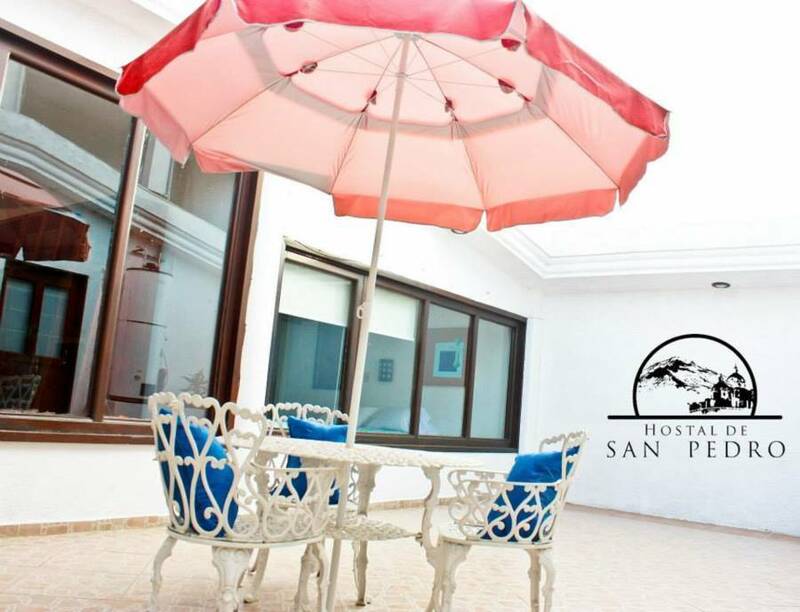 N the Hostel de San Pedro we have comfortable facilities for rest and relaxation plus you'll be just minutes from the archaeological, religious and crafts attractions. In San Pedro Cholula, besides admiring the Hispanic and colonial architecture of the city, you'll find cafes and restaurants, bars, cultural centers, museums, parks and more to have entertainment 24 hours a day. We are a family hostel , so drinking and smoking is not allowed. 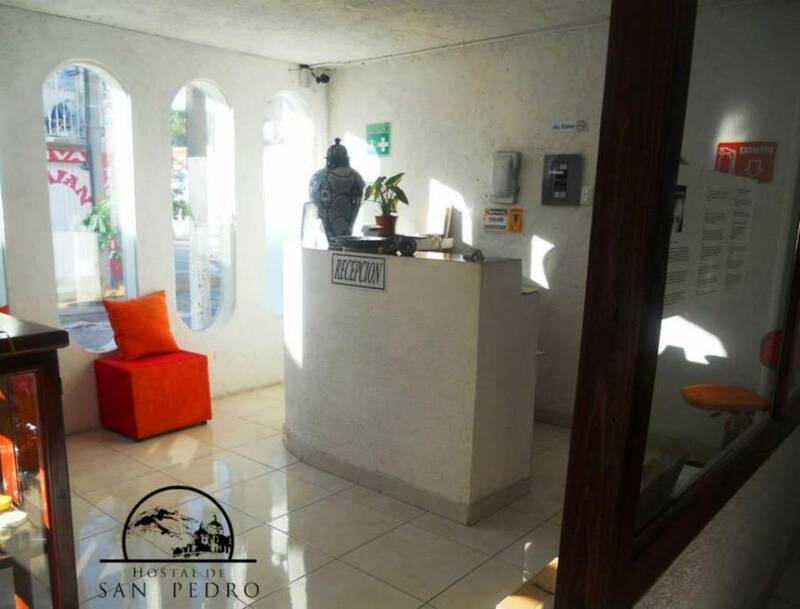 In the Hostel de San Pedro we have comfortable facilities for rest and relaxation plus you'll be just minutes from the archaeological, religious and crafts attractions. 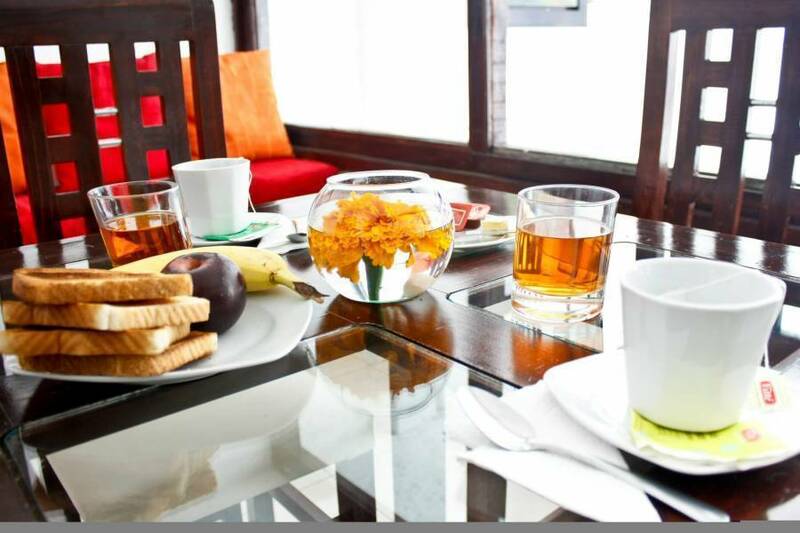 In San Pedro Cholula, besides admiring the Hispanic and colonial architecture of the city, you'll find cafes and restaurants, bars, cultural centers, museums, parks and more to have entertainment 24 hours a day. 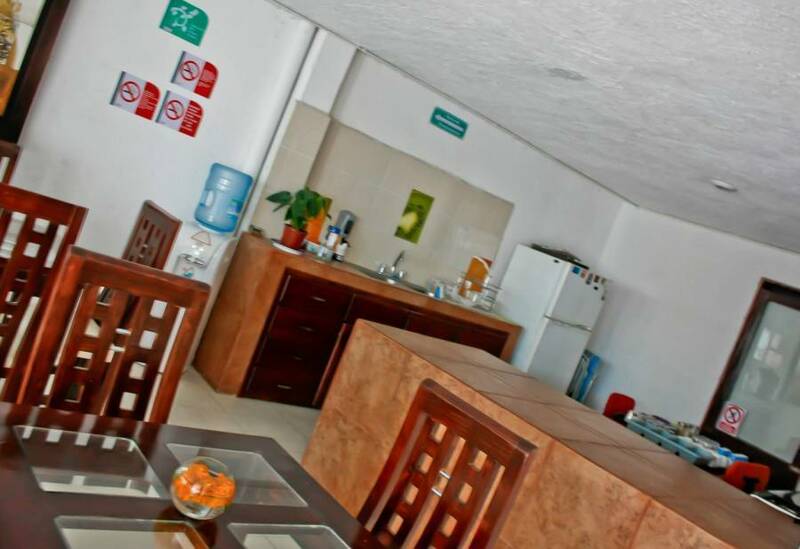 he Hostal San Pedro is located one block from one of the forgers boulevard main communication routes in 4 blocks away from the communication route "Recta a Cholula"
You can also take a local Bus from the Bus Station(CAPU) to Cholula, the suburban buses are at the rigth side of the grand hall of the Bus Station, there you can take a red and white bus with the label "cholula"and the bus stops right at our corner at the 6 norte , bus ride takes around 30 minutes. 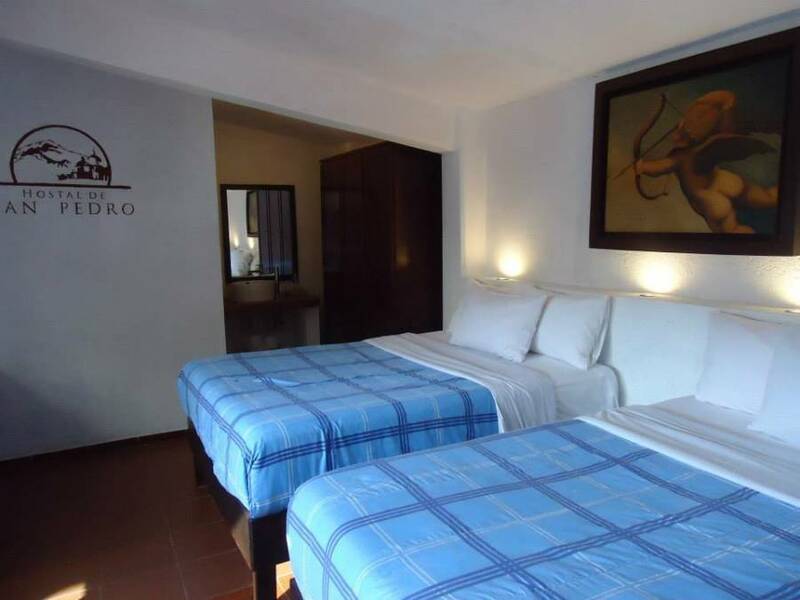 The Hostal San Pedro is located one block from one of the forgers boulevard main communication routes in four blocks away from the communication route "Recta a Cholula"
You can also take a local Bus from the Bus Station(CAPU) to Cholula, the suburban buses are at the rigth side of the grand hall of the Bus Station, there you can take a red and white bus with the label "cholula"and the bus stops right at our corner at the six north street, bus ride takes around 30 minutes.